When the fox guards the chicken coop: A review of the film "Medicare's Orphans"
Now that the new documentary film about Canada’s abject failure in autism health care has been released, I’d like to share some thoughts about the precedent setting film in the world of autism advocacy: Medicare’s Orphans. Many films about autism understandably focus in on the miserable lives of children with autism. This can sometimes be hard to watch. Medicare’s Orphans is not that kind of film. The documentary chronicles the protracted battle to include children with autism in the Canadian health care system. It’s a strange juxtaposition to watch since in the United States, the debate lately has been about creating a health care system where everyone is covered. In contrast, Canada already has a supposed universal health care system, yet this is a story about the systematic exclusion of the one group that is shut out of health care -- children afflicted with autism. How strange! There is a group of Canadians who don’t get health care coverage for their core health need -- autism! I guess that’s what happens when the fox guards the chicken coop, when the health care system and the government are one in the same. When government is the health insurance provider, it apparently does a lousy job of holding itself to account where a lack of autism treatment coverage is concerned. The film describes the amazing lengths to which Canadian parents have gone to right this wrong. It shows the important successes in the courts, and the failure of the legal system at the highest level -- the Supreme Court of Canada. The filmmakers take us on a journey from coast to coast, meeting courageous parents and their children with autism. We are introduced to one parent who actually walked 286 miles in the harsh Canadian winter to Ottawa to plead his case and raise awareness of this horrendous injustice. We are heartened by the successes of children who were fortunate enough to receive treatment because, in some cases, their parents forfeited everything to fund the treatment. In one case, we meet a woman who has rented out every room in her home to pay for autism treatment. We are also angered and disgusted by the complete failure of the Canadian health care system, which lands one child in the psychiatric unit of an Ontario hospital. Through all this, the message is clear. The film acts as a call to action! Those who live in the United States need to wake up every morning and appreciate the fact that in the U.S., children with autism enjoy the protection of the Americans with Disability Act, the Individuals with Disability Education Act, the Mental Health Parity Act and the States’ Autism Mandates that are being passed daily, the most recent one in the State of New York, marking the 29th state that now legally requires insurance companies to cover the cost of effective autism treatment. Let’s hope that Medicare’s Orphans will so thoroughly embarrass the Canadian government that it finally does something about its hypocrisy. Canada claims to be a light unto nations where universal health coverage is concerned, yet it does precisely the opposite by excluding a whole class of its citizens from healthcare - kids with autism. 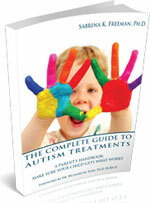 Visit their website to learn more about the Medicare for Autism Now! movement.